A handful of Memphis Heritage members and preservation enthusiasts met at Aretha Franklin's childhood home on Thursday morning to board up and secure as much of the unstable structure as possible. The home at 406 Lucy in South Memphis is facing potential demolition if a group doesn't step in to save it soon. June West, executive director of Memphis Heritage, called their action "guerilla preservation" since her group isn't the one charged with saving the home. That task fell to the LeMoyne-Owen College CDC, but that group has failed to save the blighted home so far, although the CDC's executive director Jeffrey Higgs told the Flyer they've been working behind the scenes. Memphis Heritage volunteers attempt to secure Aretha Franklin's birthplace home. 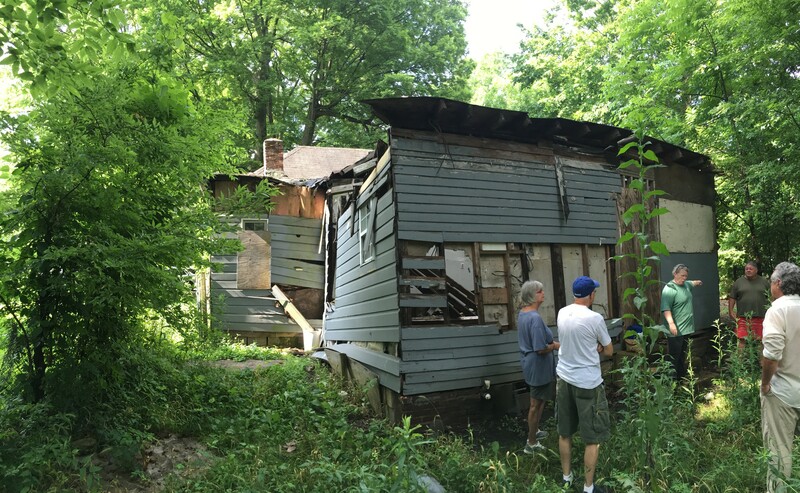 Last week, the Shelby County Environmental Court put the home into a city receivership and ordered the home to be demolished. It was first declared a public nuisance in October 2012 due to its blighted state. The entire back half of the home was nearly destroyed by fire years ago, and one side of the roof over the porch is sagging. The back portion of the home was mostly destroyed by fire years ago. South Memphis Renewal CDC was appointed a receiver for the property about a year ago, and Jeffrey Higgs of the LeMoyne-Owen College CDC informed the Environmental Court that his group would fund-raise and relocate the home. Higgs said his group has been in talks with Franklin's agent to make sure the soul diva is okay with them using her name and likeness in any future use of the home. He said they've been working to find partners to try and preserve the house. But it appears, if action isn't taken to stabilize the home soon, the court is ready to abate what it considers a public nuisance. Higgs and West have said there may still be time to save the home. 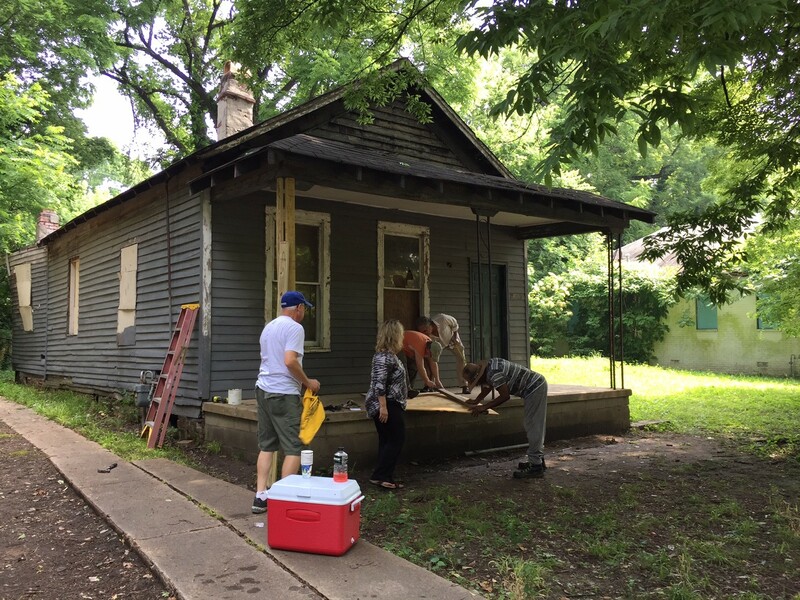 West and a team of volunteers braved the summer heat Thursday morning to secure what parts of the home they could. West said they'll get a price for a construction crew to come in and take the burned-out back half of the home off. "I don’t think there will be a rush to judgment, and they’ll bring the dozers out tomorrow. But I do think this is a wakeup call to Jeffrey [Higgs]. The only reason we’re doing it is because I believe this is the only thing that will stay the demolition," West said. Higgs said his group fully supports Memphis Heritage's action to board the property. "Everyone is working collectively. Everyone is trying to save this house," Higgs said. Although Higgs was charged with coming up with a plan to save the property, the home is still owned by its former resident Vera House. She lived there from the mid-80s until about a decade ago and raised her 12 children there. "Only thing that’s really still good is the front room, the room [Aretha] was born in, and maybe the next room part of the way. But it really needs to be rebuilt, if you ask me," said House, who was there on Thursday as overseeing the Memphis Heritage volunteers as they worked. West said the home would likely have to be moved in order to save it. It's currently located on a street with as many boarded-up homes as livable ones, and many front yards have waist-high weeds. "It has to be moved. There’s no way it can survive, even fixed up, where it is. There’s no way anyone is going to go there. As much as a preservationist doesn’t like to move something, I think it’s only hope is to get it over by Stax," West said. 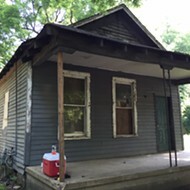 Although she has no say in the matter, West said she'd love to see the home moved to a lot near the Stax Museum of American Soul Music, where it could serve as a historical tribute to Memphis' soul history, much like the old Memphis Slim house that was revitalized and turned into a music colloboratory a few years ago. Higgs' group (along with Community LIFT) was behind the revitalization of the Memphis Slim House, and he says moving Franklin's home closer to Stax has been his group's plan all along. West said Memphis Heritage will likely hold a public meeting about the next steps for the house next week. 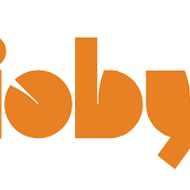 She said the group may also soon launch an ioby crowd-funding campaign to fund its renovation.